continue your swing dance studies with our intensive level 2 program! 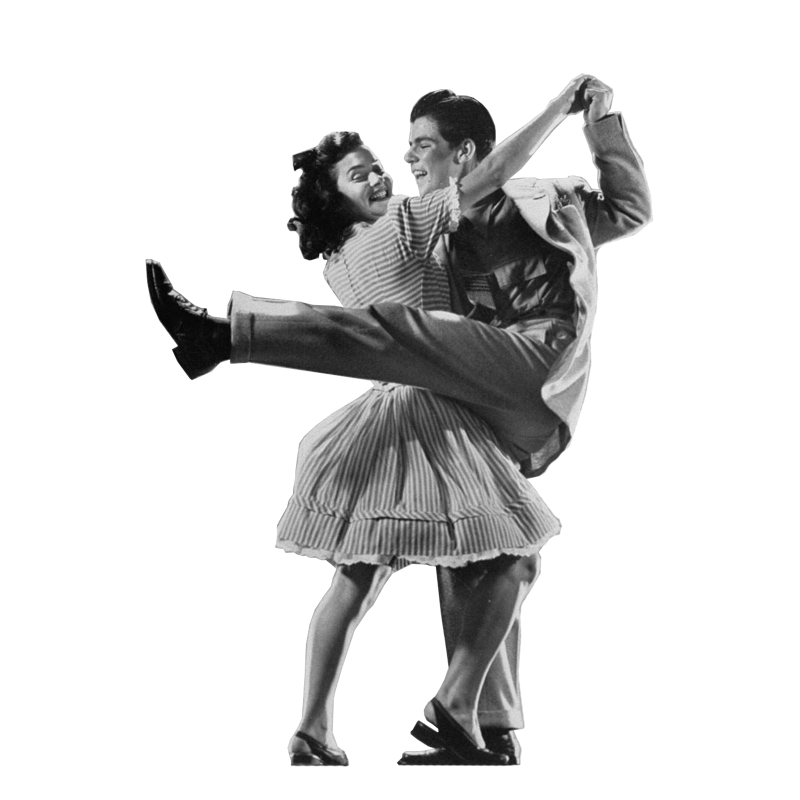 Know your fundamentals and ready to take your Lindy Hop to the next level? Continue your swing dance studies with our intensive 12-week Improvers program! Not sure this course is right for you? Come along to the Week 1 class for a no-obligation trial. No need to pre-book, just show up. You can enjoy the first class, then decide if you want to continue. This course is for swing dancers who have completed their Beginners classes and are looking to take their Lindy Hop to the next level! Our Improvers course will recap and polish everything you learned in your Beginners course, and teach you more classic swing steps. You don’t need to bring a partner to this course. You will rotate partners in class, dancing with both men and women – a great way to make friends! 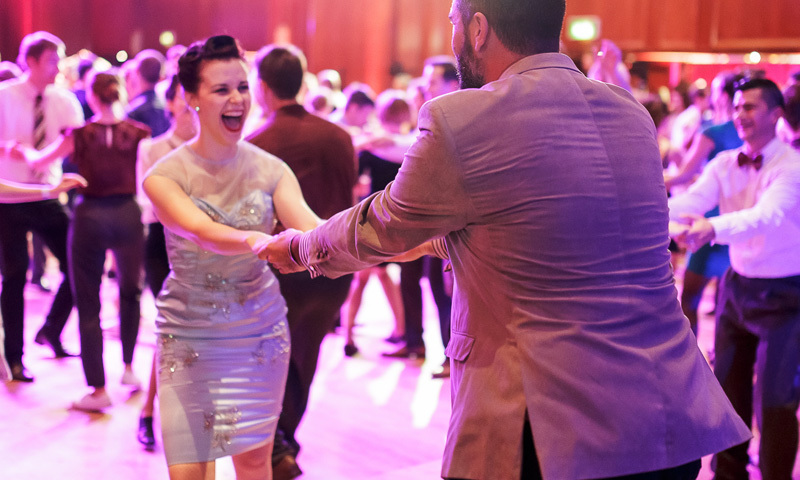 Over 12 weeks you will revise and polish everything you learned in your Beginners course, plus learn some more classic Lindy Hop moves and styling. You will learn both the lead and follow roles. You will practice your basics, work on partner connection, polish your style, learn new moves and practice social dancing. 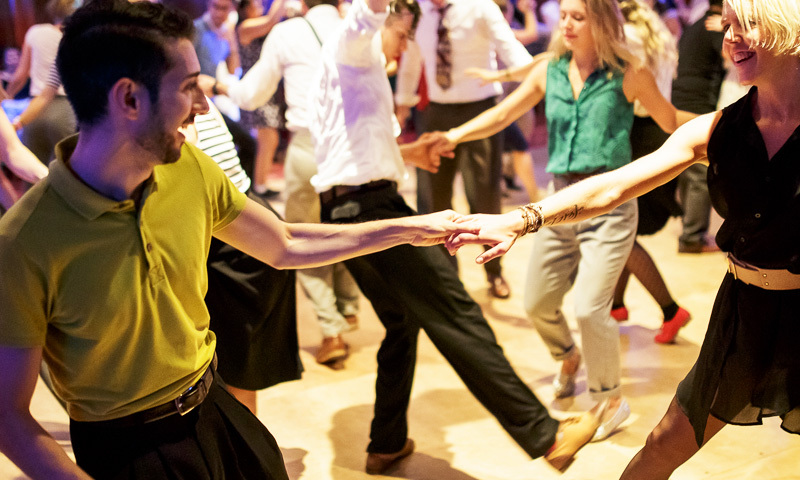 By the end of the course you should be confident to step out on the dance floor at any of London’s exciting swing parties. Sharon Davis is a world-renowned, champion swing dancer who has taught Lindy Hop in 30+ countries. She has created this ultimate 12-week beginners course to give you the best possible introduction to the dance. Sharon learned by studying with the original creators and legends of this dance – many of her mentors were aged in their 80s and 90s when she was studying with them! Sharon’s life mission is to pass on what she learned from them and keep the flame of this wonderful dance alive! Learn Sharon Davis’s unique swing dance system. This course is the culmination of Sharon’s 18 years of experience, studying with the legends & masters, and dancing all over the world teaching and sharing her passion. This course has a carefully planned curriculum designed to fast track your dance learning, while giving you the best possible fundamentals and technique to progress on to more advanced classes and to hit the social dance floor with confidence! Unique to this course, you will learn both roles of the dance – how to be the leader and the follower! Even if you later choose to specialise in just one role, having fundamentals in both will make you the best possible dancer. You will rotate partners in class, dancing with both men and women – a great way to make friends! This course is gender neutral. Old school dance for new school people. It’s ok if you have learned your Lindy Hop basics with another swing dance school and only know one role – we will catch you up and make you ambidextrous in no time! Luxuriously long 90-minute classes mean you get plenty of practice time & attention in class! You will get lots of support material throughout the course, including a course handbook, recap videos, practice music playlists and more! As a bonus, every week of the course Sharon will send you an email newsletter, full of swing history so you can learn about the roots of swing music and dance. Each weekly email has an inspiring vintage swing clip, a swing musician bio, and a dance legend of the week. This course is for swing dancers who have completed their Beginners level classes. You should already have learned your Swing Outs and Lindy Circles, some 6-Count Lindy Hop and your Lindy Charleston basics. So if you have completed the JazzMAD beginners course, you are ready to start this Improvers course. 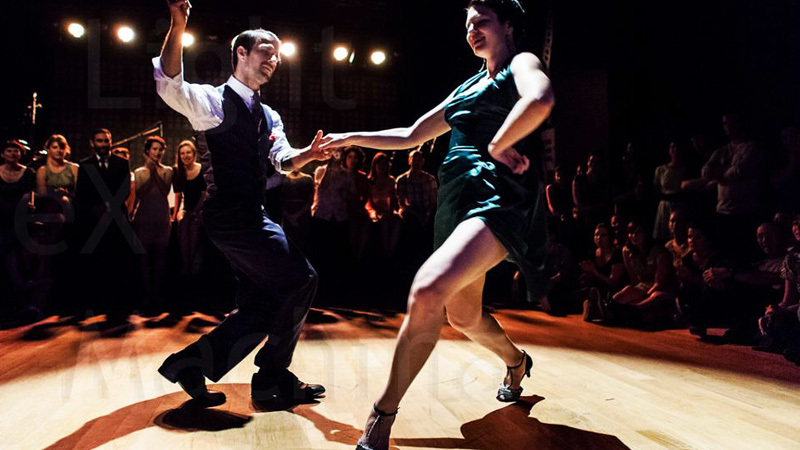 Or if you have learned the basics with another swing dance school, then this course is also perfect for you. If you’re not sure if the course is right for you, drop us a line at info@jazzmad.co.uk. Or come to the first class as a free trial to see if it’s right for you! I have completed a Beginners Course, but not at JazzMAD. Can I attend this Improvers course? Yes, as long as you are willing to learn both roles (leading and following) in this course. If you’ve only learned one role, that’s ok and we’ll help catch you up. It’s not as hard as you think! What if I have only learned to dance Lindy Hop in one role? It’s ok if you have learned your Lindy Hop basics with another swing dance school and only know one role – we will catch you up and make you ambidextrous in no time! As long as you are open-minded and willing to dance with everyone – men and women – in class, then this course is right for you! Can I come to the first class to decide if I want to take the whole course? Yes! If you’re not sure this course is right for you, just come along to the Week 1 class for free, no obligation. No booking is needed, just show up to the Week 1 class. You can enjoy the first class and meet your teacher, then decide if you want to continue. If you decide to continue you can register for the course and pay the fee online before Week 2. Yes, if you are unable to pay the course fee in full now, then email info@jazzmad.co.uk to arrange a payment plan of three instalments instead. Can I drop-in to this course? No, this is a progressive 12-week course. You must sign up for the whole program. If you can’t commit to this 12-week program, check out our drop-in Lindy Hop classes for more flexibility! What if I have to miss one of the classes? I can't make the first class! Is it ok to start from week 2? Yes, no problem! Register for the course online, and just show up to Week 2. We will get you up to speed, as in Week 2 we revise everything we did in Week 1 before moving on. Why should I take this 12-week course, instead of your drop-in classes? Drop-in classes are wonderful because they are cheap, flexible and fun. But by their nature you will not learn as much nor as quickly as you will in our 12-week course. This course is a progressive and structured program. This course is more intensive and you will definitely leave this course a stronger dancer. The course has a smaller class size, for lots of personal attention from your teacher. You will be in class with the same students each week, which is a great way to make friends and dance buddies to go social dancing with. In this course you will practice all the material in both roles, leading and following, whereas at drop-in classes you only learn one role. The weekly sessions in this course are 90 minutes long, whereas the drop-in classes are only 1 hour long. So in the course you will learn the material in more depth and have more practice time. And in this course you will have more support from your teacher and bonus support materials, including videos and handouts. The course also has a stronger history-education element, with weekly emails that guide you through must-know swing history. Wear comfortable clothes that allow for unrestricted movement. Jeans and a t-shirt (or similar) is perfect. Our dancefloor is slightly slippery, so most students are comfortable in tennis shoes or similar, though you are welcome to wear whatever shoes you usually swing dance in. Bring a bottle of water. When I've finished, what class can I do next? After this course you can move on to our Intermediate level classes. Or if you want to take this course a second time, we’ll give you a £50 discount!